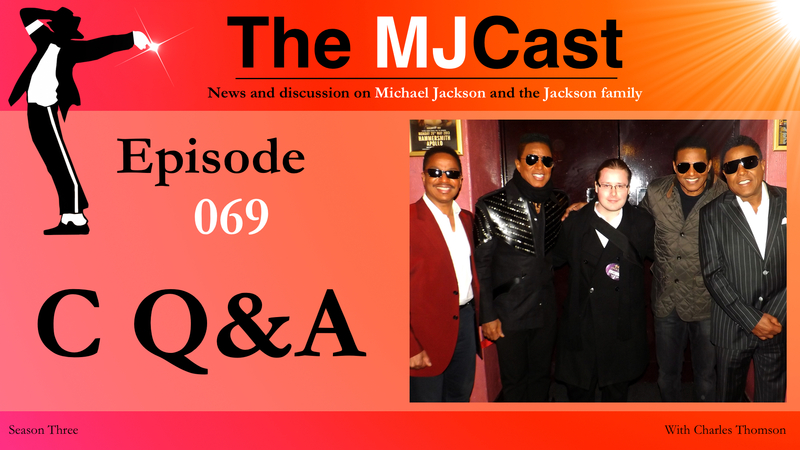 This entry was posted in The MJCast, Uncategorised and tagged aeg, answer, Branca, charles, Charles Thomson, conrad, estate, jackson, john, listeners, Michael, MJCast, murray, phillips, podcast, Q&A, question, Questions, randy, Sony, thomson, Trial by Charles Thomson. Bookmark the permalink. Although I don’t think crazy fans are exclusive to MJ, it’s only a mindset I see in certain kinds of acts. I don’t see George Clinton or Lee Scratch Perry fans saying he was an angel sent down to the Earth to enlighten us and ridiculous stuff like that, for example. Even Madonna fans are more grounded in reality. Although the likes of Bieber have that element in their fan base, I think what’s interesting is that their fan bases are a lot younger. With MJ you’ve got middle aged people who should really know better acting that way. I’ve been thinking about this a lot recently (cos it’s honestly really disturbing at times), and I think I’ve reached the conclusion that victimhood kinda became part of Michael’s “brand” – every interview he gave was about how mean the press are, how awful Joseph was, how the label were to blame for poor reaction to Invincible because Mottola was a racist, when the police arrested him he accused them of police brutality, it was Bashir’s fault for the edit not MJ’s fault for SAYING those things out loud. Then every album had at least one song like Leave Me Alone or Privacy where it was just a big whinge. It’s really never ending. I’ve never seen MJ take responsibility for his actions. It was always someone else’s fault. And I think that rubs off on some of his fans. Heeey! Thanks for responding. It’s difficult to talk about him in this way with other fans sometimes, but I don’t think we can think of MJ as a purely music/entertainment figure. He’s beyond that, and his story encompasses so much. I’d love to see a thorough, epic documentary on him that encompasses not just his art, but him as a figure in race, celebrity, power and the psychological effects of fame. Think of Ezra Edelman’s OJ documentary – an 8 hour look at one of the most fascinating figures in American history with proper context. Sadly I don’t think we’ll ever see it because both the estate and certain fans won’t hear a bad word about him – nobody is perfect and if we’re having an honest look at something we have to deal with the negative aspects of them – we all have them, Michael included. But anything that is negative, no matter how valid, tends to be dismissed in the fandom as some kind of media bias. Not saying that’s NEVER the case, of course it is, but it means we can’t have an honest look at him.